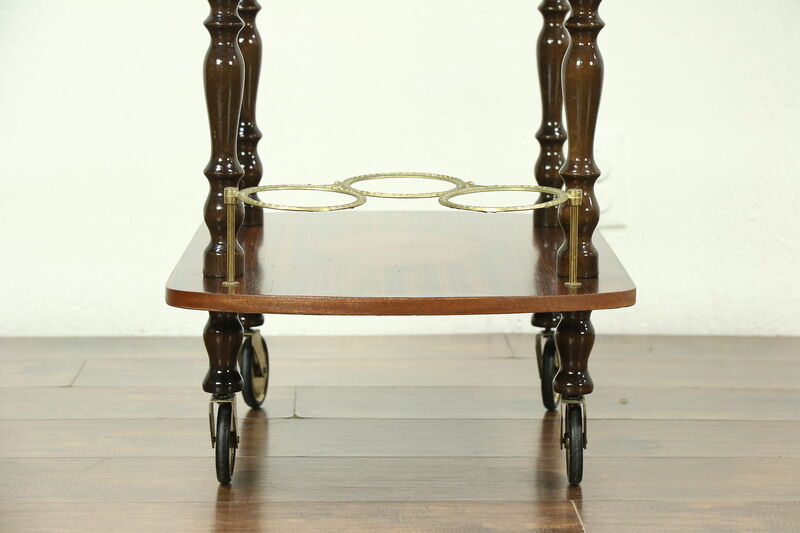 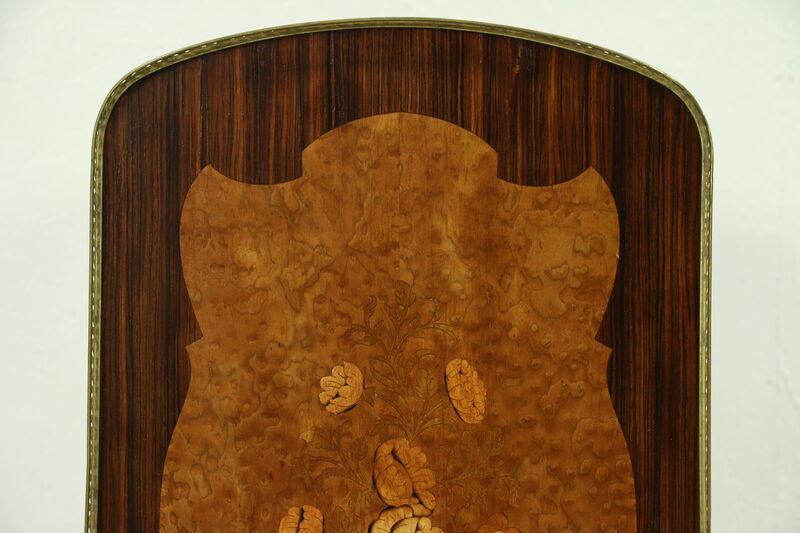 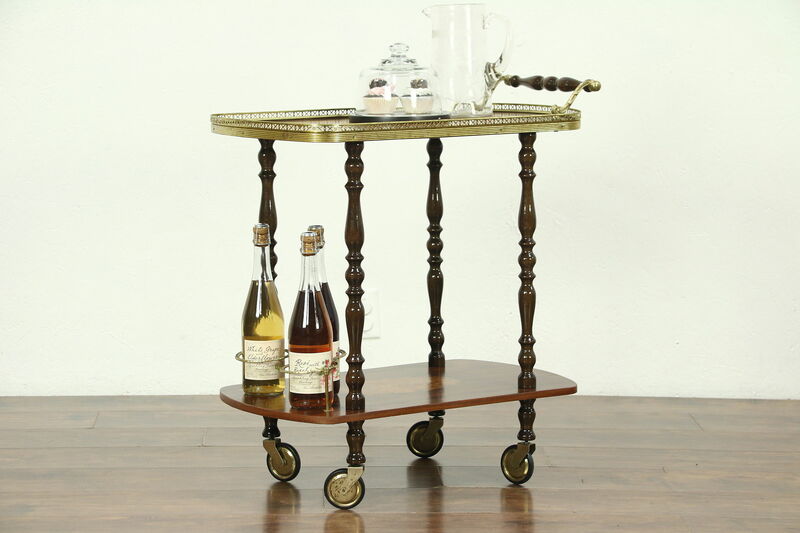 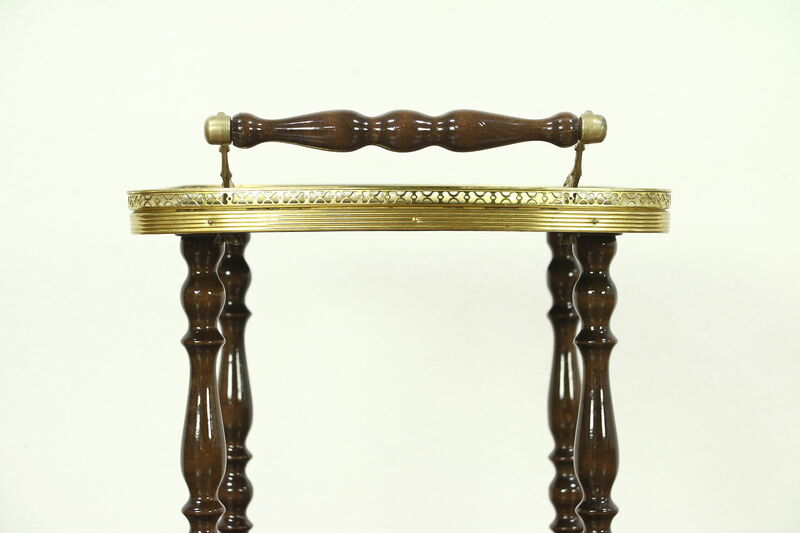 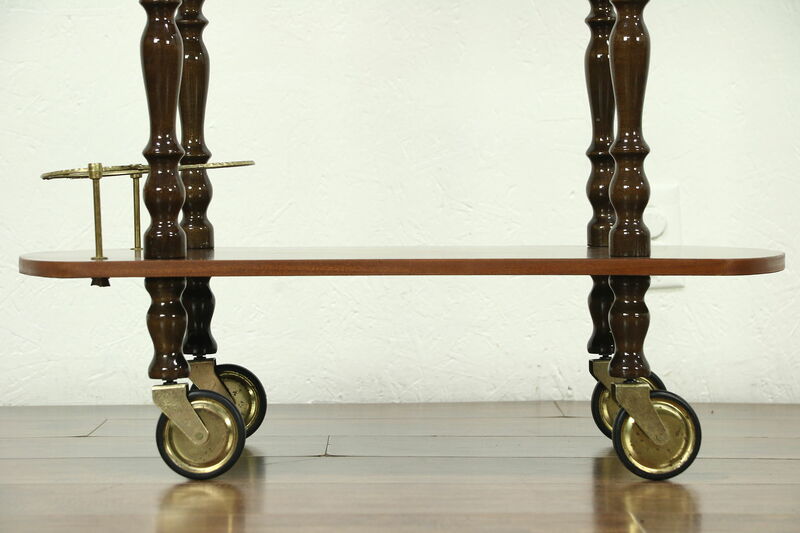 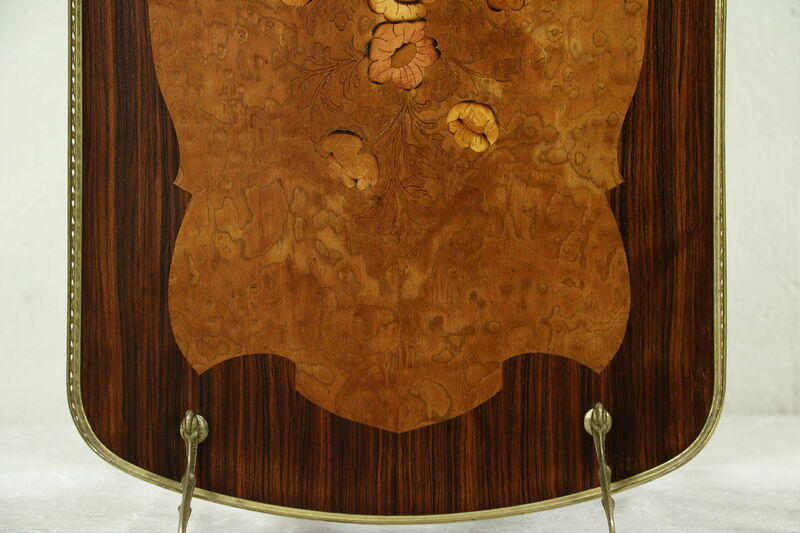 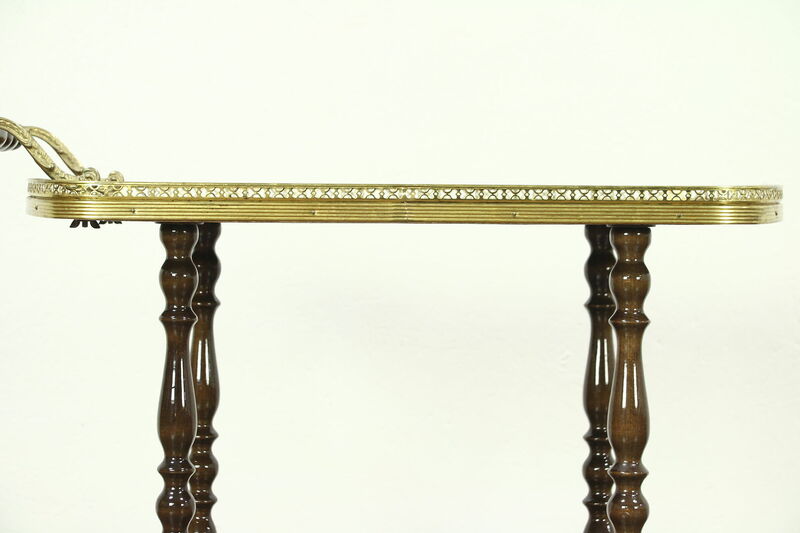 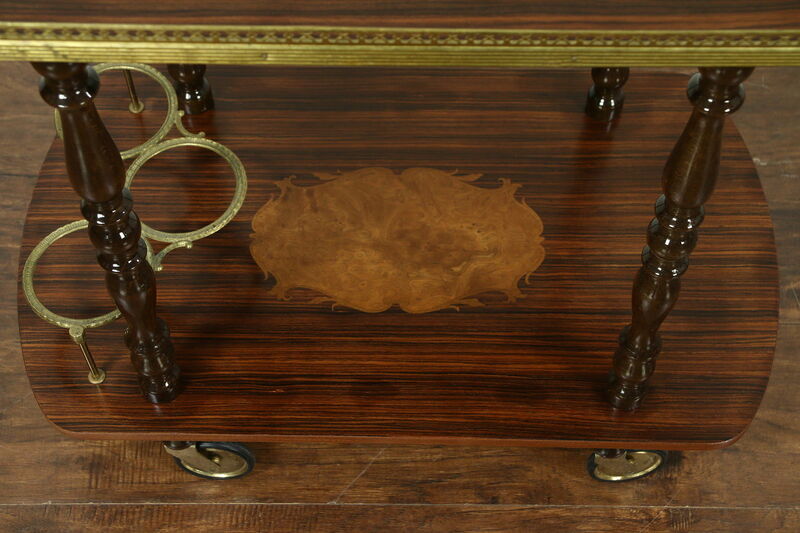 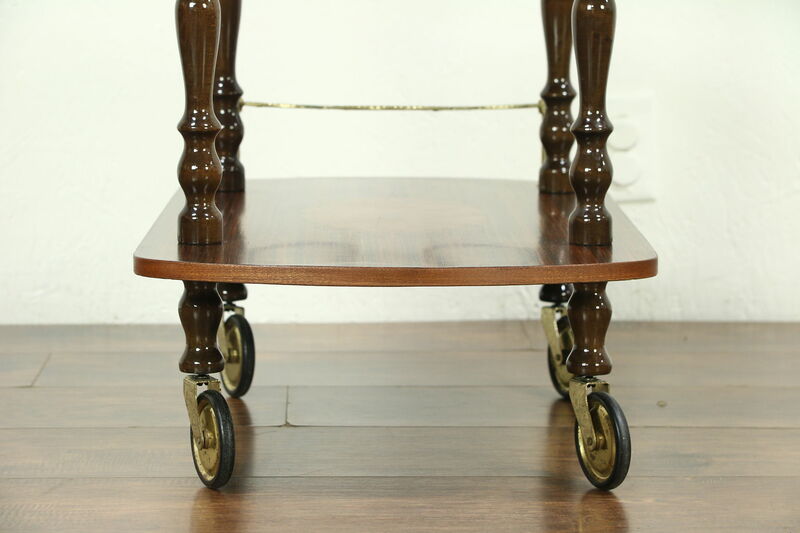 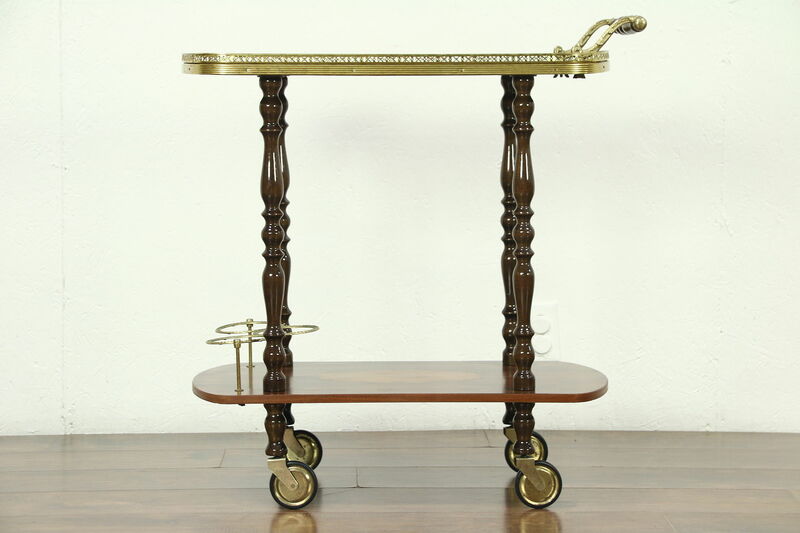 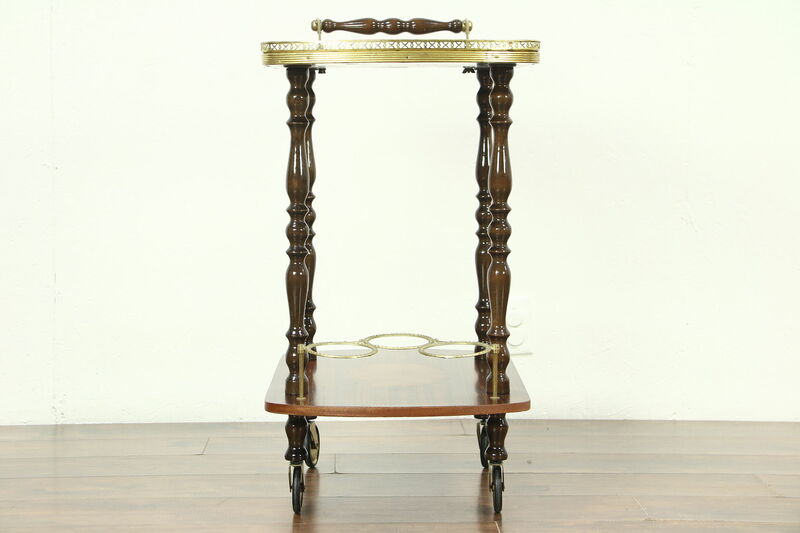 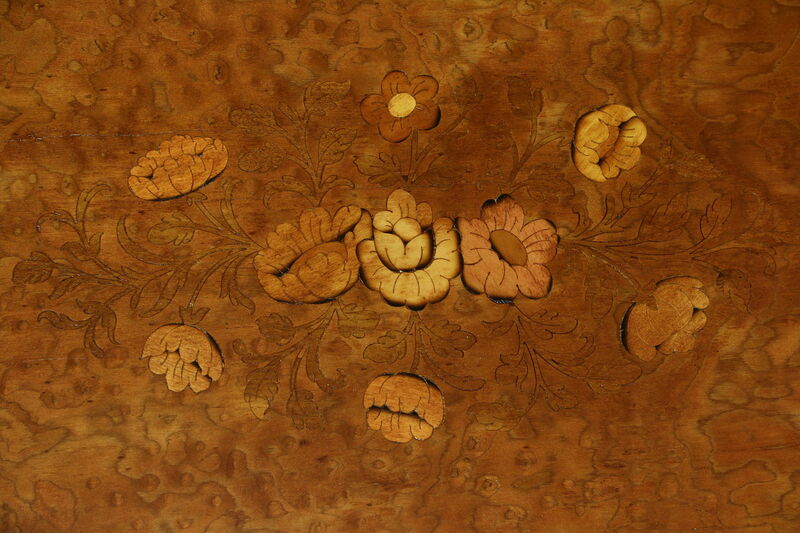 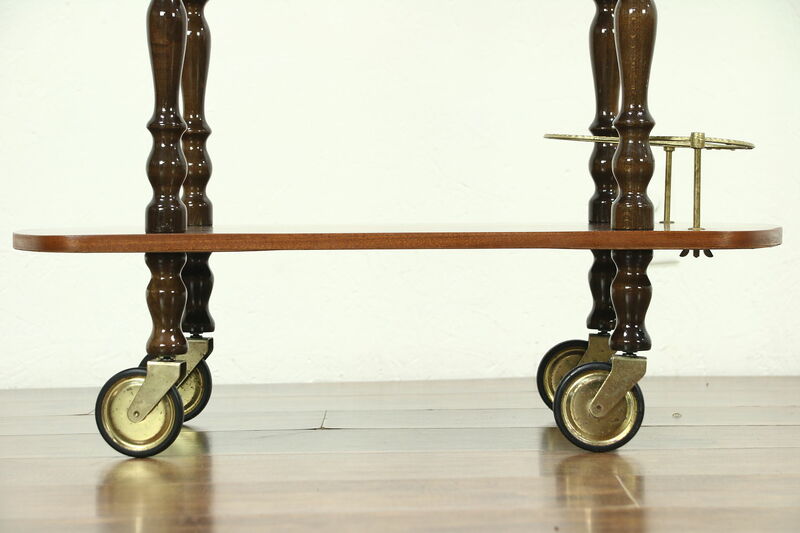 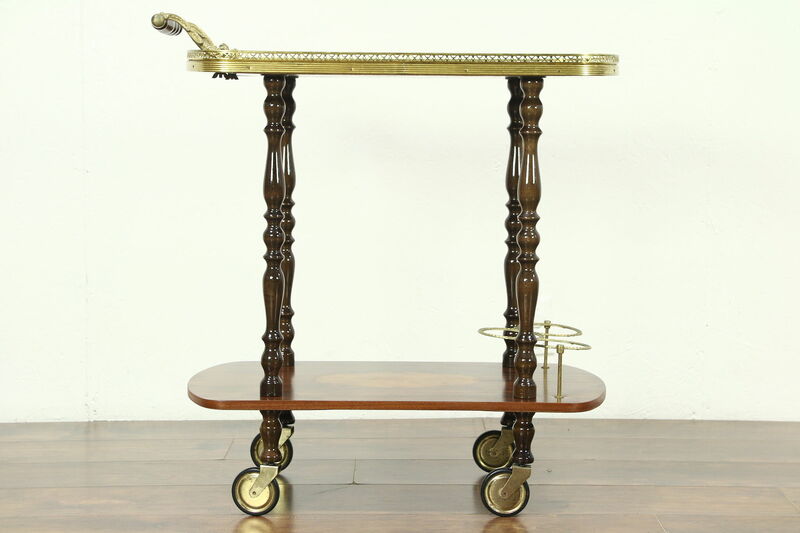 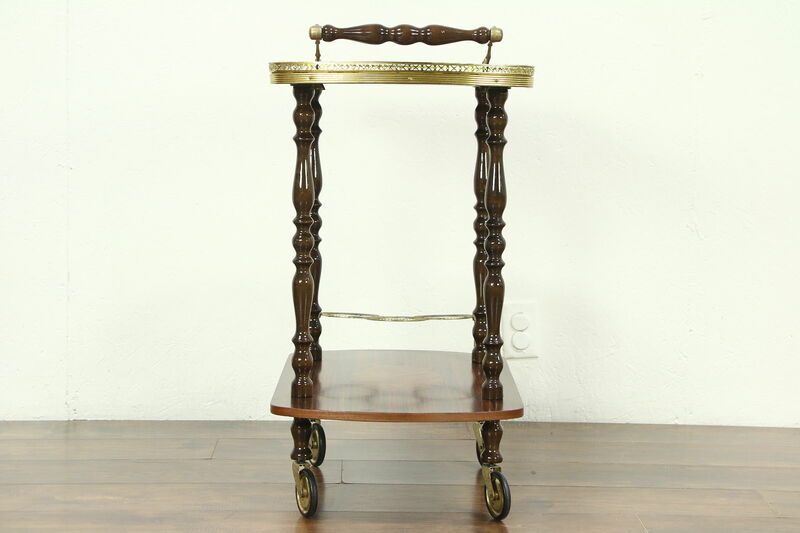 A bar cart, beverage or dessert trolley, is inlaid with genuine rosewood and burl marquetry. 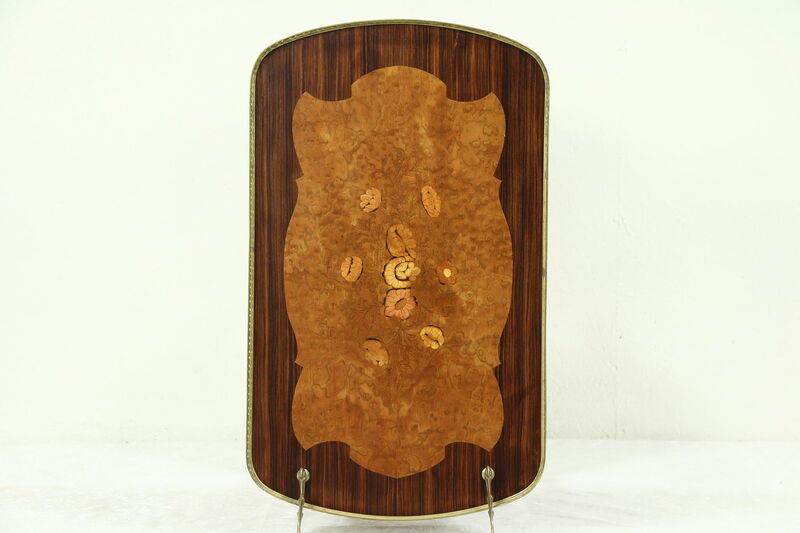 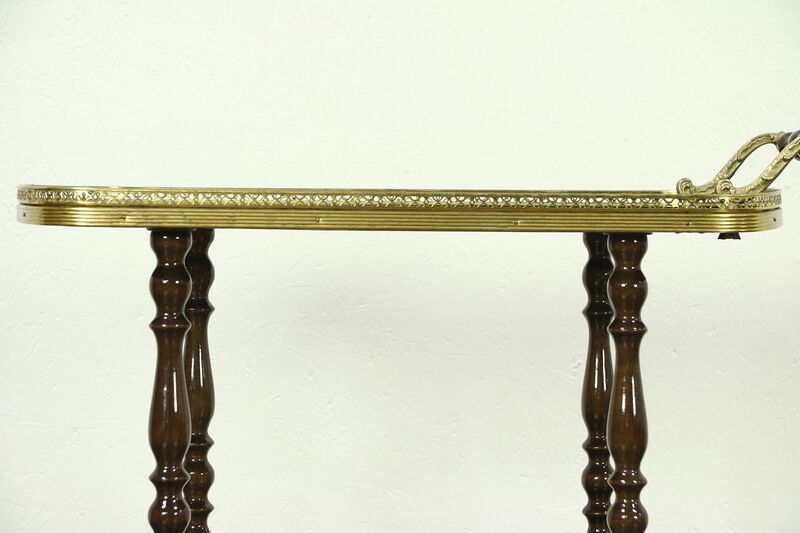 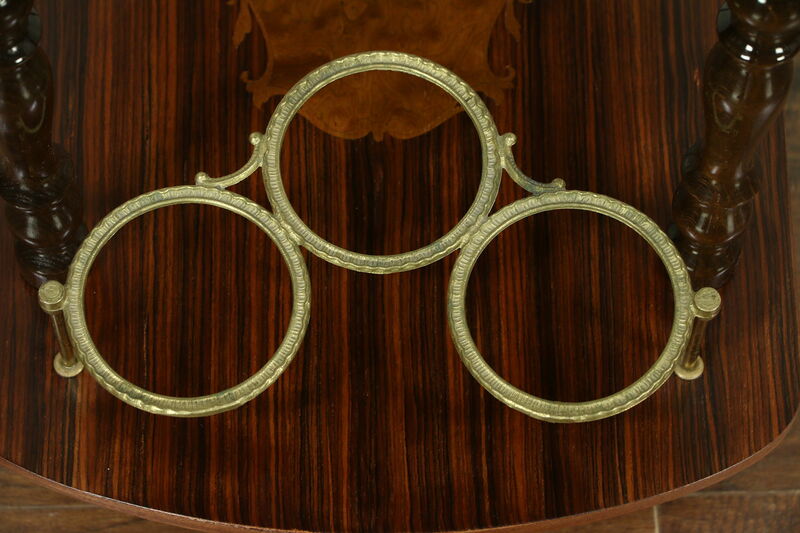 The curved galleries, bottle sockets and mounts are gold plated on this 1950's vintage furniture,signed "Made in Italy." 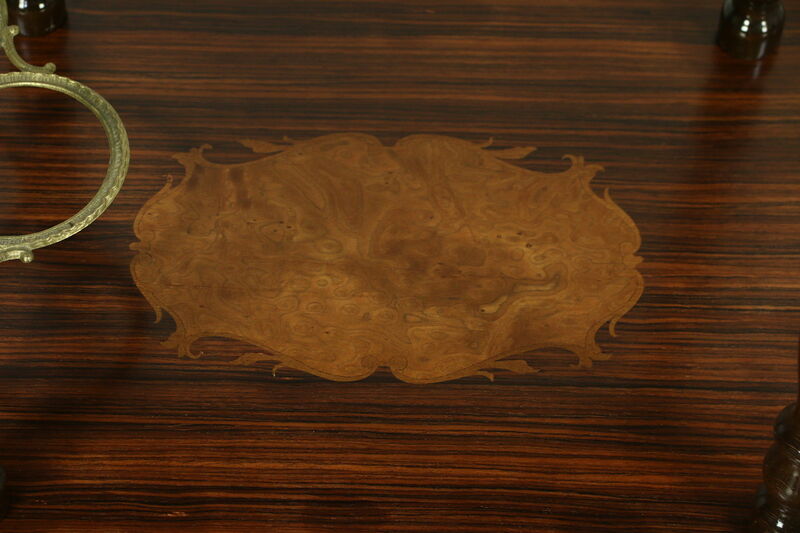 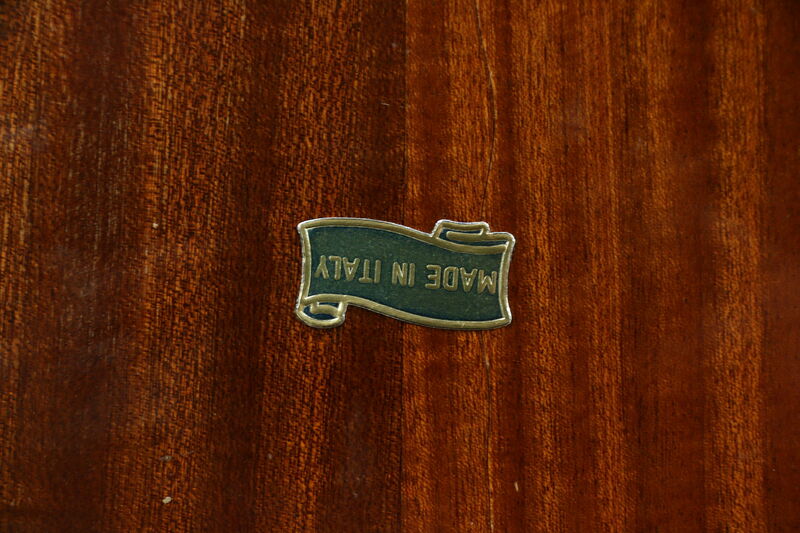 The restored finish is in excellent condition on beautiful vivid exotic wood grain. 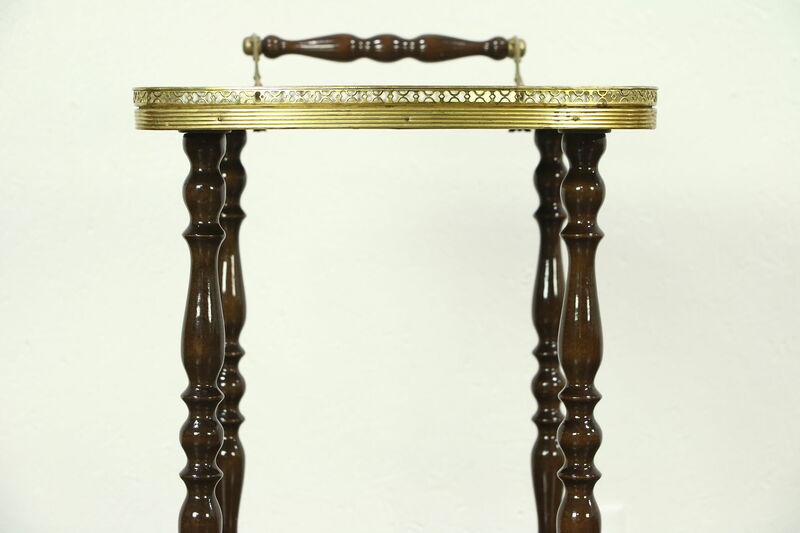 Measurements are 28" long, 16" wide and 30" tall.